Tap the screen to see the time! Do you struggle to see your watch in the middle of the night? 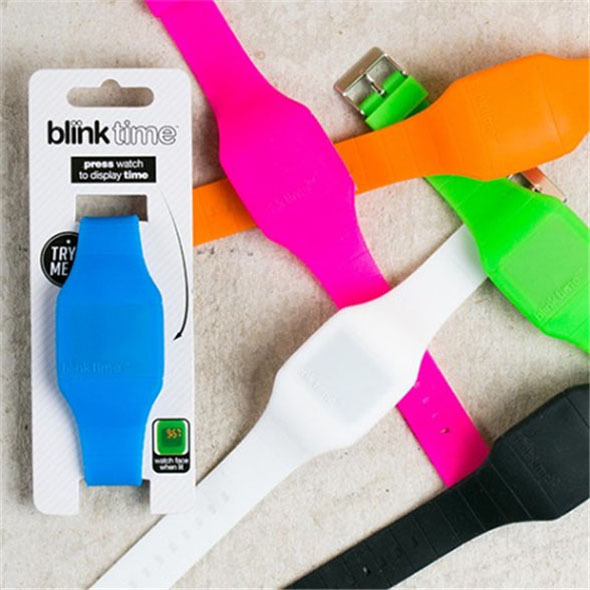 We've got the perfect solution, and its name is Blink Time! 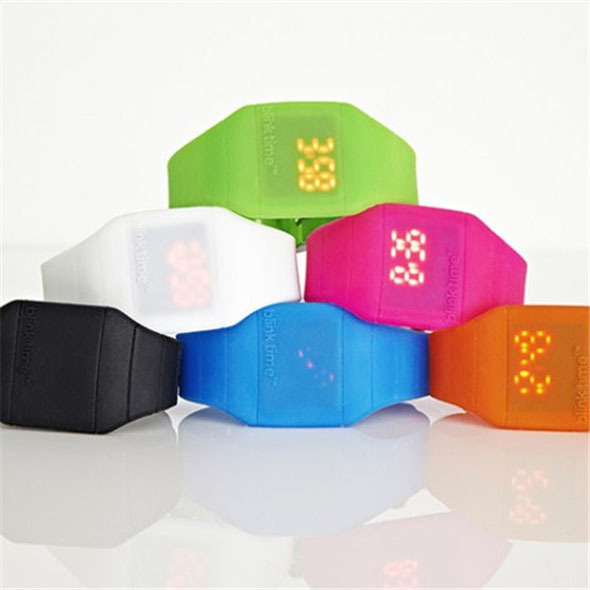 The Blink Time Watch is a brightly-coloured LED watch that lights up when you tap it. Tap once to see the time; tap it again for the date; tap a third time for a second counter. It's easy to use and fun to wear - what more do you want from your watch? 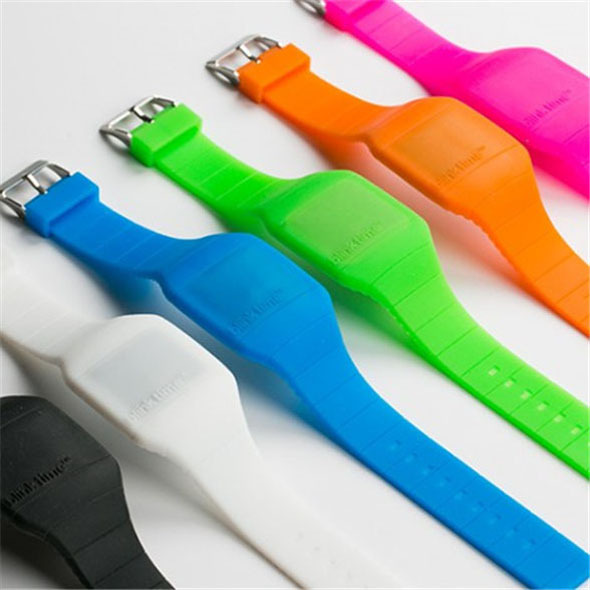 The Blink Time Watch is a nifty watch with a funky, streamlined design. It's particularly good after dark - you don't have to feel around for any buttons, and the bright LED display is easy to read in any light. Since this LED watch is only active when you tap it, you should find that the battery lasts significantly longer than that of a standard watch. This energy-saving design (along with the bright, bubbly look of the thing) is what makes the Blink Time Watch so cool - if you don't already have one on your wrist, buy one ASAP!